Being a missionary is a noble calling, but it's also a difficult one. Missionaries face many challenges, whether adjusting to a new culture, learning a new language, or guarding against spiritual attacks. They need the support of the church and a faithful covering of prayer. But for many Christians, missionaries are out of sight, out of mind. How can we effectively intercede for the missionaries in our lives? Eddie Byun provides a handy guide to praying for missionaries. 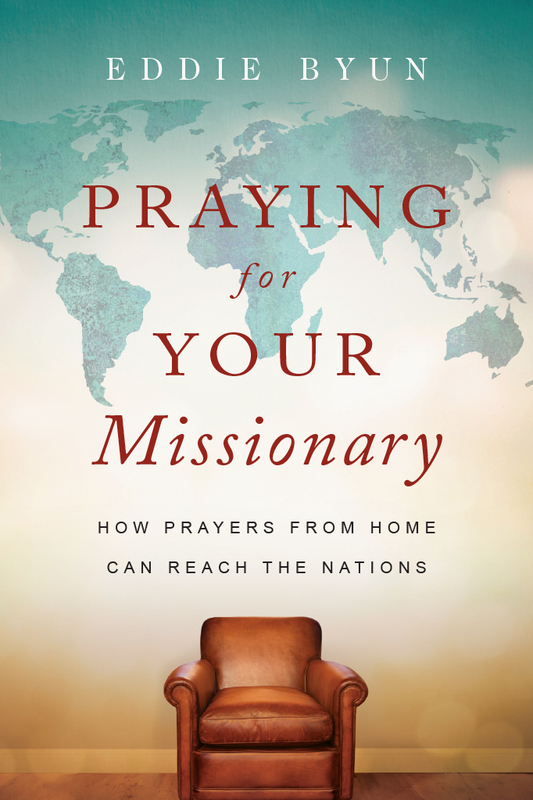 He shows the vital connection between prayer and missions, how our prayers are connected to both the well-being of missionaries and the fruit of their work. This book offers ways to pray for the various needs that missionaries have on the mission field, to prevent burnout and protect them from harm. We can partner with our missionaries as individual intercessors and as sending churches. The fields are ready for harvest. Your prayers for the workers and their ministry can make a difference. "There is no greater cause and no greater means toward the fulfillment of that cause than the spreading of the gospel of Jesus Christ and prayer. As a missionary, I know how deeply flawed I am and we are as missionaries and how much we need prayer. Pastor Eddie is tackling an incredibly important and strategic task of mobilizing and equipping the saints to pray for missionaries. Use this book. Share it with others. I highly recommend this important book for global missions." "Having served in overseas missions for a number of years now, I know how important it is to have a team of prayer supporters behind you. 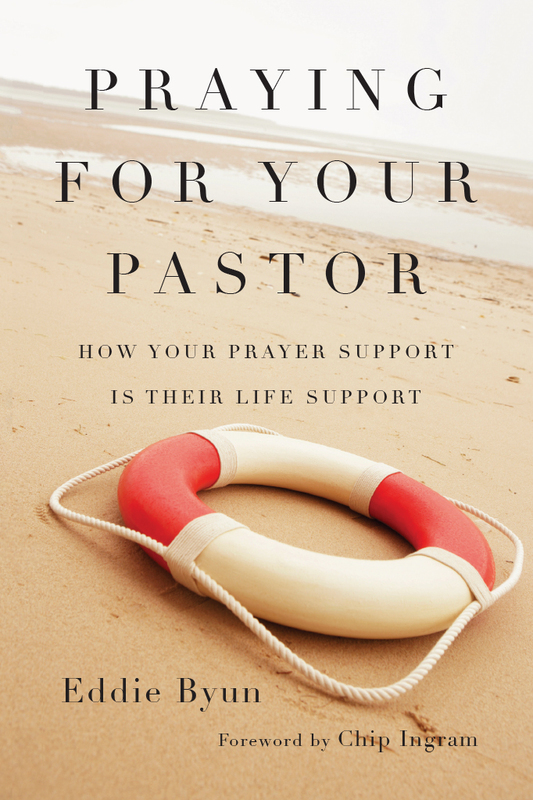 In this book, Pastor Eddie gives the reader very practical lessons on how to effectively support your missionaries in prayer. The personal stories within are illuminating to the real struggles and needs that missionaries face on a daily basis, and their need for intercessors. Praying for Your Missionary is a must have for churches and missionary supporters. I will be recommending it to all of my family’s supporters in hopes that they will use these guidelines to lift us up in prayer." "Praying for Your Missionary is a great reminder, even for people in full-time ministry, that we all need to do our part to pray for our field workers. Pastor Eddie offers insightful, firsthand knowledge of the challenges that many missionaries experience in the field and when they return home. This book should be required reading for any church that sends and supports missionaries." "As a cross-cultural worker focused on Northeast Asia, I am so grateful that a pastor has addressed the paramount issue of praying for missionaries. Pastor Eddie has written a book that is very thorough in addressing so many of the issues that many workers on the field struggle with. This is a book that I would want all of my supporting churches and supporters to read. The book addresses issues for beginning missionaries as well as for those who are ready to retire. If you know someone on the field and want to understand them, this is a must read." "Being a missionary in remote places in the world, I greatly appreciate prayer for my family and for our ministry. As Pastor Eddie shares in this book, sometimes our brothers and sisters in Christ forget about us as they do not see us on a day-to-day basis—out of sight, out of mind. People need a reminder to pray for us missionaries as we go out into a dark world to carry the light unto the lost peoples of this world. Pastor Eddie used to be my pastor and our family was greatly blessed by the church and the many ways they supported and encouraged us. He has lived out what was written in this book. As a missionary I would strongly encourage you to read this book and to get it into the hands of everyone in your church to faithfully intercede for all your missionaries." "This book has the potential to have a powerful and eternal impact in global missions work. If every church lived out what is outlined in this book, then I believe we would see a mighty harvest in missions work among the nations. I have been a missionary overseas for over fifteen years and appreciate the honesty and vulnerability that is shared in Praying for Your Missionary. There is a great need among the nations, and there is a great need for more prayer. I hope that churches everywhere would read through this book. Thank you, Pastor Eddie, for writing this. It truly is a gift to us missionaries. " 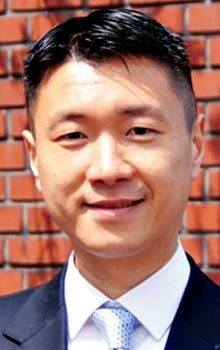 "Comprehensive in scope, Eddie Byun leaves no stone unturned when it comes to fully praying for all aspects of a missionary's life and work. This book is not theory. It is highly practical. As a former long-term missionary myself, as I read chapter to chapter, I could not help but think, 'Right on!'" 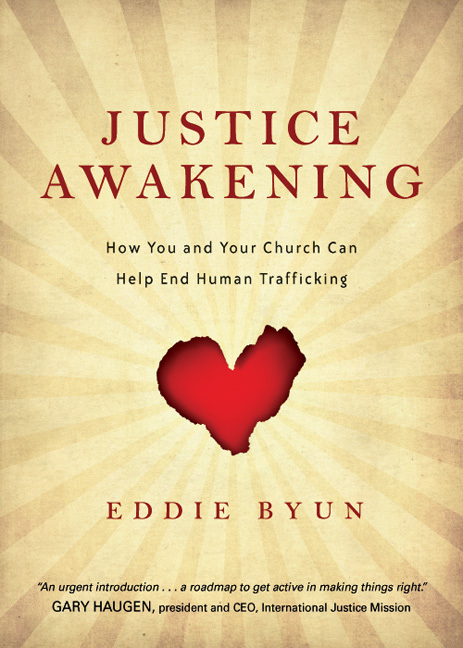 "Eddie Byun's new book moves us from casual prayer to engagement in the spiritual battles of missionaries. Each chapter introduces a new dimension of potential personal and ministerial challenges. From the discernment of call to retiring well, Eddie Byun lays the biblical foundation needed to commit to the all-encompassing prayer base our ministry partners need. Praying for Your Missionary is a must-read for all pastors, small groups, and individuals who mobilize to pray for their gospel partners. It's a resource to return to over and over again." "When Paul the apostle wrote to the Corinthian church, he reminded them of the hardships he and his team were facing as pioneer missionaries in Asia, and then he voiced confidence that God would deliver him and his team, as the Corinthian believers helped them by their prayers (2 Cor 1:11). Today's missionaries would write the same to us: God will deliver us . . . as you (the church) help us by your prayers. Pastor Eddie writes to show us how to pray—biblically, practically, strategically, and passionately. The servants of Christ around the world need you to read this book so that together we may be part of bringing the good news of Jesus to the nations." "During our years of crosscultural ministry, I wondered if the most significant impact of our life was the simple fact that our ministry focused our friends', families', and supporters' prayers on that country and context. If we'd not lived there, others probably wouldn't have prayed with the same intensity and focus. These loved ones regularly gave to God specific people and needs and held requests up to his light and love in ways they might not have if we'd not called for prayer. Prayer reorients us into the truth that it's not our mission but God's. Prayer draws us away from our strenuous service (that is shaped by our affluence and privilege) toward recognizing our utter dependency on God and others. Prayer empowers us so that the vulnerable humanity we share with those we serve is a gift and strength, not a tedious burden. Prayer opens us up to live at the intersection of the kingdom of heaven and our ordinary life on earth. "This book is a practical guide to intensifying our prayer for people who've left the security, comfort, and familiarity of their old home to journey with others in new places and contexts as we travel together toward our home in the kingdom. Beneath the traditional mission language used in this book is a challenging reframing of our attitude and approach to mission. The author summarizes this through the words of a Ugandan woman: 'I speak as one of many who is no longer prepared to tolerate the narrative of white saviors who are giving it all up to save us.' Mission is no longer (and in truth, never has been) from us to them. Rather it is our privileged participation in the indefatigable love of God as we discover our deep kinship with people whose lives and contexts are radically different than our own—yet share deep dignity and worth as children of God. This book opens myriad specific ways we can pray for all of us to 'watch, stand fast in the faith, be brave, be strong. Let all that you do be done with love' (1 Cor 16:13-14)." Introduction: Why a Book on Praying for Missionaries?